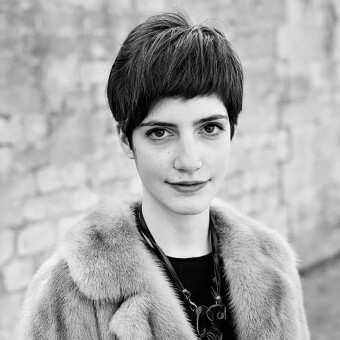 About Laura Micheli : Laura Micheli is an Italian architect and jewelry designer based in Zurich, Switzerland. Born in Novi Ligure (Italy), she was formed as an Architect at the Academy of Architecture of Mendrisio and after a few years spent travelling and working in Paris, Milan and London, she decided to establish the jewellery atelier “Laura Micheli” in Zurich. Jewelry design has been a passion and interest for the last ten years and it has always went hand in hand with architecture. The creative process behind her pieces of jewelry takes place in different ways. It can start from a formal or aesthetic inspiration, from a memory, or from the request of the client. Often a creative error turns into an element of interest, so when a piece is not finished yet, a second is already born. Sometimes the process is completely random and spontaneous. Every piece of jewelry is handmade, imperfect and therefore unique. The jewels are the representation of Laura's close encounters with materials, techniques, forms, references, images, stories, people, souls, memories. Design is, for me, idea and process. The moment of finding the inspiration or main theme of the design is as important as the process of realisation. Every piece should be coherent and cohesive in its shape, materials and used thecnique. My aim is to create not only beautiful objects but stories that refer to one's memory. Master of Architecture at " Accademia di Architettura di Mendrisio"(CH), achieved in 2016. For the last 3 years I have worked as an architect in Milan, Paris, London and currently Zurich. On parallel, I have always continued working freelance as a jewelry designer. Press Members: Request an exclusive interview with Laura Micheli.